. We also heard it over and over again from everyone under Milan’s hire: Our goal is the Champions League this season. Two very different statements, and yet no one seemed to really get how opposite they really were until maybe after Montella was sacked. In fact, the appointment of Gattuso as first team coach seemed to be the reality check that one of those statements was not like the other. And while that reality check seems to have subdued the belief in Champions League for many, still others are clinging on to that hope. It is a hope that fans have had for years now, and it’s certainly one to aspire to. 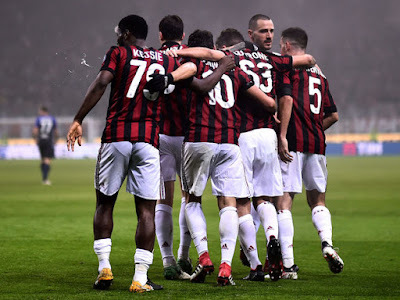 However, with all of the changes of the past year, Milan’s ups and downs have left us where we are, currently eighth on the table. And for better or for worse, Milan are making our own fate. To gel and to make Champions League? In one season? Impossible... or is it? Ironically, hiring Gattuso has turned out to do more to solidify this team than anyone could have imagined. I suppose after Montella took a page out of Allegri’s desperation book, using 23 different lineups in 23 games, it was inevitable that anyone using any kind of consistency would find the team we knew we had. I certainly am the first to admit that I thought Gattuso was a poor choice. And while I’m still skeptical of his tactics longterm, or even his behavior, Mirabelli is now saying he hopes he stays at the club for ten years. Whatever his tenure, I give him credit for instilling heart, diligence, and teamwork back into this squad. And perhaps it is still premature, but I believe that he has, by luck or by design, been able to make this team gel pretty well so far. Considering the change of ownership, the purchase of so many players at one time (as well as the exits of those players,) and then the change in coaches in November, that is a pretty amazing accomplishment. But at least one of those statements seems to have been met. Champions League. We have won so many titles, still second most, despite our long absence. It’s the impossible dream, ever since Berlusconi and Galliani decided to “balance the books” in 2012 by selling our two best players. With the caliber of players we purchased in the summer, it seemed technically possible to return to the competition in one year’s time. But was it ever plausible? Montella proved what most people agreed: he was a decent coach, but was never going to lead us to a Champions League final… or even the Champions League. Sure, he led us to the Europa League, but that was as much Inter’s failure as his success. And when handed the proper players to make it happened, he proved hands down that he had no idea what to do with the proper players. 23 unique lineups, mainly one really poor formation, and none of them successful. He achieved one objective. Can he achieve the other? 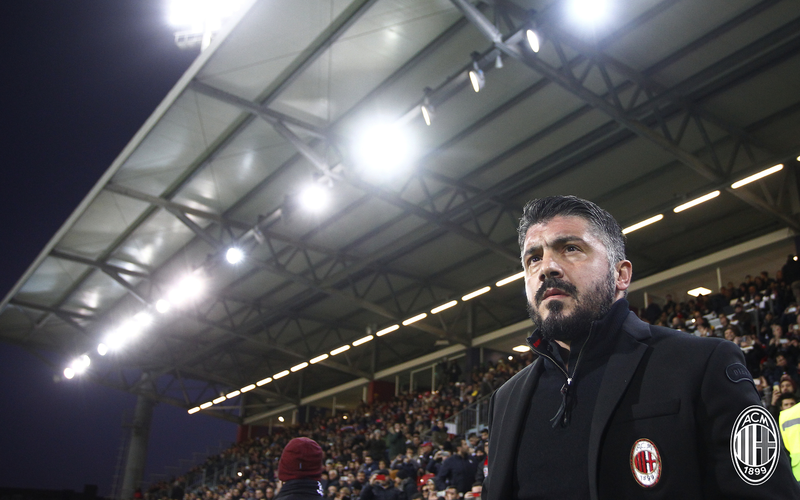 Gattuso has this team running on belief and hard work. Which so far is working out well, particularly considering that he picked up the ball midgame. But belief and hard work will only ever get you so far. There needs to be some kind of tactics to win certain kinds of games, too. And his tactical bag is so very limited. I can see this team willing to die for him on the pitch, but without the proper guidance and tactics, it is actually the dreams of the fans which will be doing the dying. Sure, he reads the game well enough to know what they’ll be up against. But so do other coaches. And he doesn’t change anything or anyone to meet each challenge. So when other teams see the one dimensional tactics over and over again, it will be easy for them to overcome a team built only on grinta. At the end of the day, Milan will continue to make our own fate. Despite the fact that at this point in the season, our fate rests almost equally in the hands of the teams above us, and how many points they drop. But to be in the spot we are now, waiting for them to drop points was our own making. Trusting in Montella, trusting in him too long, hiring Gattuso instead of a more tactically advanced coach… making all of the choices that Milan have made… even to buy so many new players at one time. For example, Milan played more consistently last year with virtually no reinforcements, trusting in youth and players that lack the skills and experience levels of our new players. But all of these were decisions that Milan have made. And they have all contributed to where Milan are now. Despite being 25 points behind the league leaders, our fate still lies somewhat in our hands. How far we climb, how many points we drop will determine how close we get to a European spot this season. Well, us and Inter. Once again, their continued failures may contribute to our future success. But we can’t wait around for them. Milan must make our own fate.